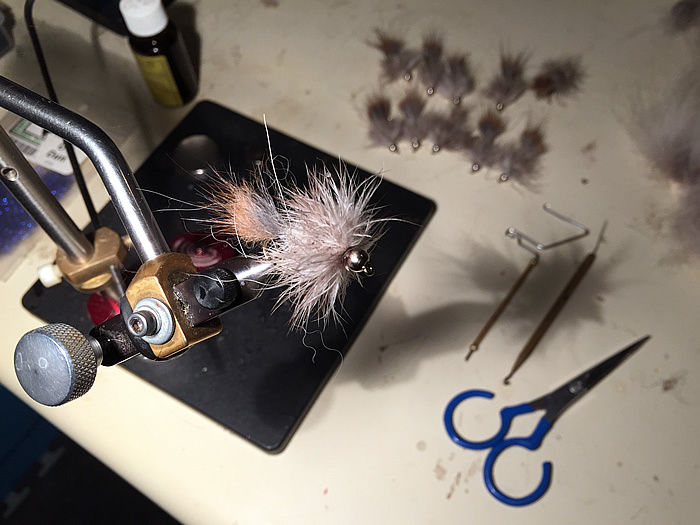 Tied on a TMC 5163 Size 10 Hook, but arguably a short wet fly hook such as Kamasan B175 might be a better fit (would result in a full hackle body). As such the fly has three distinct parts. Tail – Muskrat with long guard fibers with the underbody fur. I am using a silver wire to re-enforce the body, with a silver bead-head and a wire wound weighted hook shank. An experiment, the tail being muskrat with a heavy dub of wolf guard hairs around the tail. 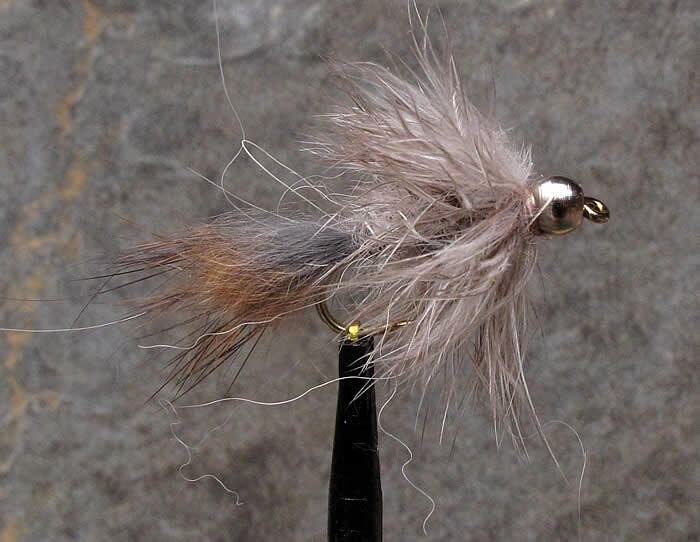 The Ugly is a traditional (old) Ausable Pattern, and in many ways it is similar to a Wooly Bugger but (I am speculating) relying on hairs from animals that were available in Upstate NY at the time – Hen, Coyote and Muskrat.